Do you want to win a mountain of books and learn to write prose at the same time? Take part in our Game of tome! Bring one book published after 2000 – that is your admission ticket for the event. Listen to a short talk on writing by Maria Kula – an editor and a host of writing courses and the Novel Writing School. The watchword of the meeting will be the most important element of the novel which is a literary character. Be aware as these clues will be useful in the next stage of our game! On the basis of a short lecture, write a short fragment of a novel on a given topic. Use your imagination! Do you want to read your first words of your new story? Grab a microphone and share the text with other participants. Time for voting – all the participants (who had and had not read their texts) vote for the best piece. The winner gets all the books that had been brought – the admission tickets, which are loyal companions during cold, December nights. The event is free, registration is not necessary. Take a book and come to Cheder Café (36 Józefa Street) soon – 20 December at 6.00 p.m. The Game of tome is an event that accompanies the programme of supporting literary debuts by the Krakow Festival Office. 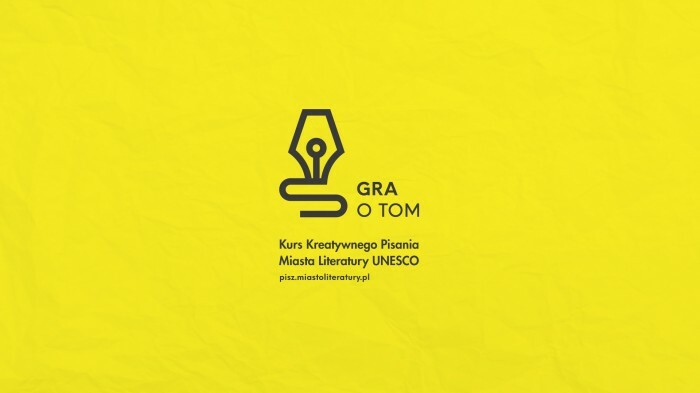 This programme includes the Conrad Award, which is granted every year for the best literary debut, as well as the Creative Writing Course by UNESCO City of Literature, weekend workshops of creative writing and open meetings with commissioning editors from the biggest Polish publishing houses. When: 20 December, 6.00-8.00 p.m.